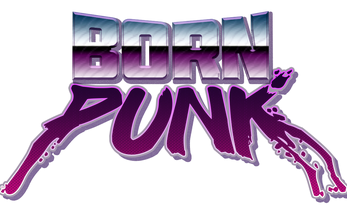 This is the demo (Windows/Mac/Linux) for the upcoming cyberpunk point and click adventure Born Punk. The kickstarter launched on the 5th of February and concluded successfully with over $AU50,000 raised. The demo is now outdated, but can still be downloaded so you can see our humble beginnings. New demos will appear here as time moves on. If you're interested in becoming a late backer of Born Punk (and gain the same tier rewards as the original backers), please head over here. Please note that the Mac and Linux version are unstable/troublesome for some, the Windows version definitely works fine. Windows: just download and install! Mac: Just download, unzip and install! Linux: Just download, unzip and install! We have little experience with Linux, but testers have reported that they needed to download libpng12 to get the game running. A few have reported having to use the config file 'alternative_config.ini' (just rename to config.ini) instead of the 'config.ini' file in order to be able to play the game properly when using a multi-monitor setup. Or you can just edit the display mode in the ini file yourself. Of course we will try to make the Linux launch as smooth as possible once the time comes; please excuse our newbness in this regard for the demo. Born Punk was funded on kickstarter, and we're 5 stretch goals in!